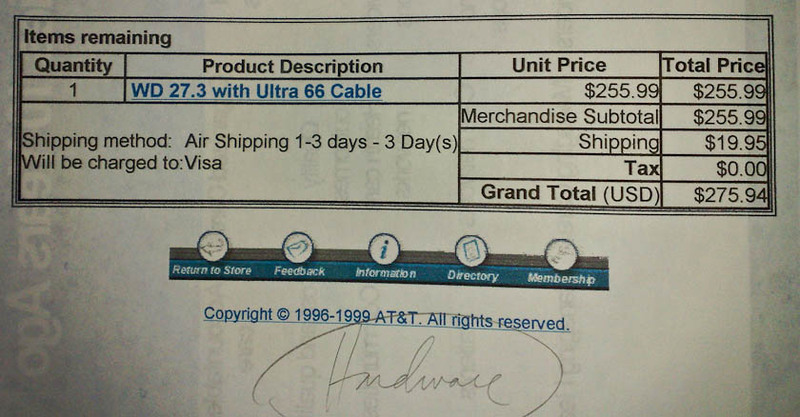 While cleaning up old paperwork, I ran into a receipt from late 1999, for a WD 27.3 GB hard drive with an Ultra 66 Cable. The price for that thing was $275.94 with taxes. Nowadays, I can get a 2 TB hard drive (that’s 2,000 GB) for less than $150. How times have changed! It’s amazing in which rate technology develops.